If you wish to use any email account (gmail,yahoo, using MS outlook) to send emails to your contacts or leads and automatically create task and track this under activity history under those contacts or leads then you will need to configure email to salesforce. For example I have a Lead "Ralph nex" and this lead has email address as "ralphParerira@gmall.com". I contact ralph by sending an email and ask him to meet me. Now i expect salesforce to automatically track this email under activity history, this is when email to saleaforce comes into picture. How salesforce identifies the record under which activity history should be added? Simple ! This is based on the email id in Lead or Contact. Salesforce compares your address in to/bcc with records in salesforce lead/contacts. Only standard email fields are tracked, no custom email fields are tracked. What about Opportunity? Opportunity does not have standard email field in it. This is based on the contact Roles. It tracks the email id of the contact in contact roles related list under Opportunity. What setting do i have to make? 1. 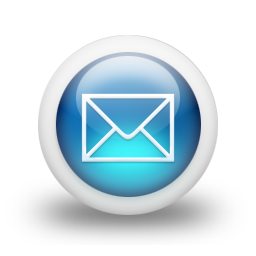 Set My Acceptable Email Addresses to your email id from which you are going to send the emails. 2.You can tick mark "Always save email attachments" if you wish to save the attachments in saleforce used in emails. 3. Activity history tracking for Opportunity could be omitted by not ticking the box. Whom should the email be sent and How to use Email to salesforce Address? 1. You will send the email to the email address of lead or contact based on this address either in "To" or "cc" salesforce identifies the record and then creates the activity history. 2. You should keep Email to salesforce Address in bcc if you are sending the email to lead or contact address. 4. If you have email communication already going on with some addresses then you can simply forward your next email to "Email to salesforce Address" , it automatically tracks the to, cc addresses from previous communication and creates record for activity history. What can i do with my unresolved items? You can assign them to either lead, contact or other standard/custom objects record. Or you can chose to Not assign it to anyone in which case it marks the task as completed. Thanks for the clear explanation on email to salesforce. Is there a way to set up (or third party apps) so that the replies from contacts or leads get automatically routed to salesforce. It seems the only way is to forward to the bcc after receipt.